Most women have the misfortune of developing cellulite at some point in their lives. A woman’s body is genetically prone to the development of these unsightly, lumpy deposits of fat beneath the skin. Exercise alone does little to alleviate cellulite, and requires continuous dedication to maintain results. Once the exercise is discontinued, the cellulite will come right back. However, there are a few ways to go about decreasing the dimpling appearance of cellulite, which do not involve hours at the gym, expensive creams or liposuction. Here are 3 tips to getting rid of cellulite that will actually work. Proper circulation is essential for everything from cardiovascular health to the growth of hair and fingernails. To work on improving the circulation, make sure to move every day. This is not referring to vigorous training sessions at the gym in attempt to rid the body of cellulite, but rather good old fashioned exercise. Get the blood moving and heart pumping by adding daily walking, jogging, cycling, or any other physical activity. Deep breathing exercises are also beneficial and will get the blood flowing. Thirty minutes of vigorous cardiovascular activity three times per week is recommended for purposes of improving circulation and helping to get rid of cellulite. The second of the 3 tips to get rid of cellulite is proper nutrition, knowing what to eat and what not to eat to help reduce cellulite. Some foods we eat can actually contribute to the formation of cellulite, while others help prevent or remove it. Nutrition plays a role in how our blood forms and circulates through the body. If certain foods act to thicken the blood, this will hamper proper circulation. Therefore, it is important to includes healthy foods that naturally thin the blood and keep it flowing freely. Important foods to include in your diet to help combat cellulite include Omega-3 fatty acids found in flax seeds and fish, and blood thinning foods such as cayenne pepper, ginger, and garlic .Foods such as nuts, oatmeal, green vegetables, and dairy products contain L-Arginine, a natural vasodilator that improves circulation. Eating these foods will help the body eliminate accumulations of cellulite. Chronic fluid retention is another factor that contributes to cellulite development. You can help reduce fluid retention and improve the appearance of cellulite by eating foods rich in antioxidants, flavonoids, and phytonutrients, high in protein, and Omega-3. Avoiding trans-fats and saturated fats, sugar, and unnecessary chemical exposure or medications will help in the battle against cellulite. Good Life Natural Health focuses on holistic health and natural home remedies. 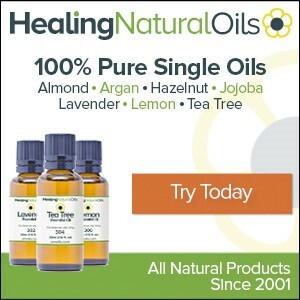 On our website you’ll find natural health product reviews, information about different massage therapy techniques, reflexology and aromatherapy with essential oils.